Gala event Flair 2016 , Annual Cultural Fest organized at Quest Group of Institutions which left both the students and spectators spellbound. Chief Guest at the moment was Ms Vibhu Raj ,IPS, Inspector General of Police (Crime) .There was a huge wave of festivity in the campus, the entire day and students energetically participated in host of activities.Breaking Grounds Dance Troupe was special attraction of the day. They mesmerized audience with their Acrobat act, Baloon Dance, Liliput Dance, Guitar act, Fire and Juggling act performed by team member Jassi-Guiness book world record holder.The programme began with Traditional Lamp Lightening & Saraswati Vandana. The cultural function put up by the students was an amalgamation of superb dances, melodious songs, thought provoking skits, in which students outshined on the stage. The Fashion show received great applause from the spectators. The high-voltage rock band performance by our students was much-admired. The magical spectacle, continued with students from various states dressed up in their native costumes & fineries & dancing to their traditional music & songs. 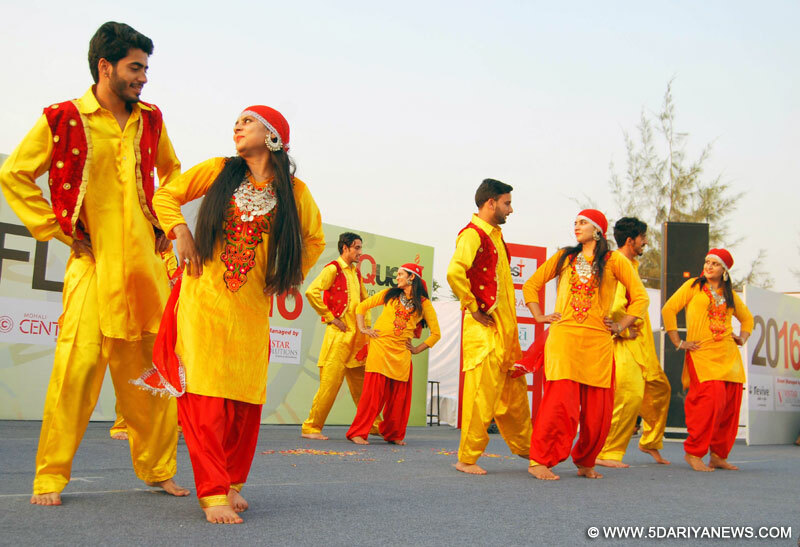 Such events gave the chance to students to showcase their culture.Chairman Quest Group, D.S. Sekhon said at the moment that the purpose of these fests is to bring the College community together in a shared enterprise that celebrates all cultures, creativity, talent, innovations, experiments, & achievements of our vigorous students.The Chief Guest Vibhu Raj ,IPS said at the moment that this Cultural festival also provides a real life learning platform to the students as they are involved in it right from planning to execution. This makes them responsible and guided to follow the same path in real life also.